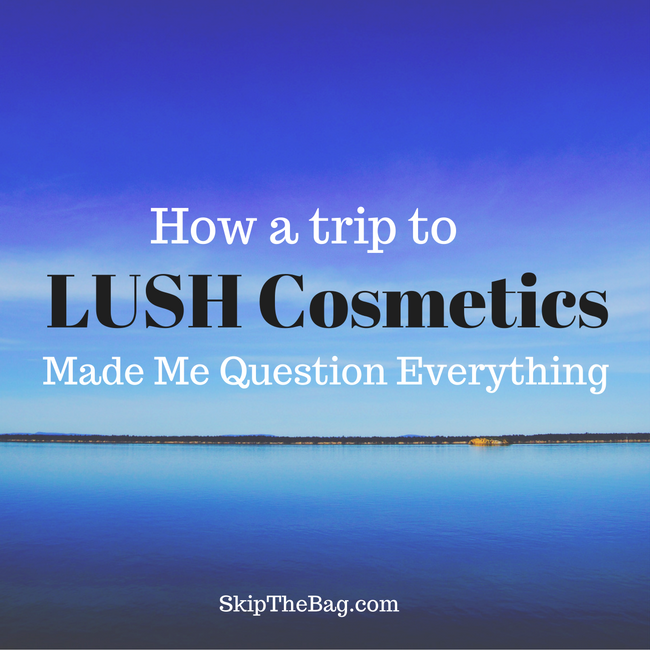 Lush is a cosmetics store that is known for their low waste products. They have a wide variety of items from shampoo bars, conditioner bars, soaps, tooth powder and more. The first time I ever went was in New Orleans. Hubby and I were walking down magazine street and saw the store. Hubby is always on the lookout for shave soap so we went in. 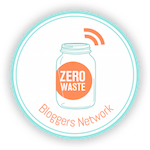 I had not been introduced to the zero waste movement at the time, so I noticed they had some soap and bath balls, but didn't really look at the items or realize what it was. I just thought it was just a local soap company and we've got one of those in Pensacola. Only later, after reading more about zero waste and plastic free products did I realize how large a company, and how controversial they are. I walked in for the second time mostly because I have heard so many things about it, but also because I saw some of their tooth powder right in the front of the store. As you may remember I am still on the hunt for a toothpaste alternative after my first foray into making went horribly. So I took a gander through the store to see what all they had. As you know I have transitioned to a shampoo bar for washing my hair, but still had some bottled conditioner so I was curious about their conditioner bars. One of the major complaints people seem to have against Lush while they are conscious about their packaging waste their products still contain chemicals which others do not approve of or want to use. So while people may think they are switching to a natural product, they are really getting the same product, just in bar form. In my case, I was able to see that most, if not all, of the conditioner bars I looked at had sodium lauryl sulfate in them. Sodium lauryl sulfate (also known as SLS) is a surfactant. That means it has hydrophillic (water loving) and hydrophobic (afraid of water, or oil loving) parts to it. You know how oil and water don't mix? Well add a surfactant and they will. It also helps create a lather. There have been a number of health concerns expressed over the use of SLS. Studies on SLS itself, and not with products which contain SLS have shown links to eye and skin irritation, developmental/reproductive toxicity, endocrine disruption, and organ toxicity. Risk of developing these outcomes is likely tied to the amount of SLS. So while I was standing in the Lush store I had to ask myself: What are my priorities? Do I care about the packaging? Do I care about the chemicals? Which is more important? Can I have them both? Well I am obviously, concerned about packaging. The whole reason why I was standing in front of the conditioner bar section of Lush is because I wanted to move away from plastic bottles to something with less waste. But the fact that there are potentially toxic chemicals in them made me pause. What did I decide? I bought the bar. I was curious what everyone was talking about, and I wanted to know that if my forays into homemade beauty products failed, I'd have a backup. So what do I think? 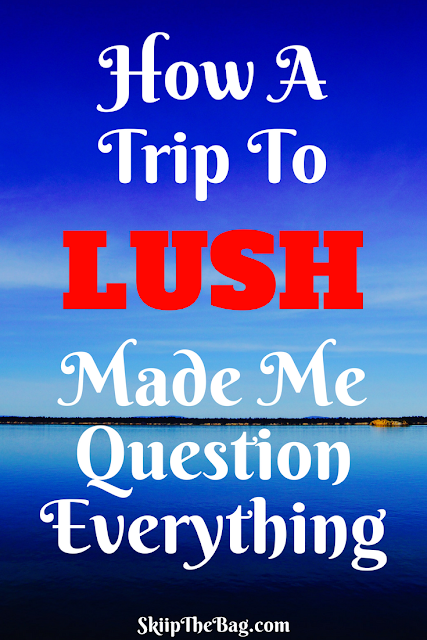 I bought Jungle from Lush*. My hair is pretty dry and this one sounded like it was the most nourishing of the bars. I've been using it for a while and I'm liking it more the more I use it. Since it has SLS, and the saleswoman in the store said it would lather, I was expecting some lather. However it doesn't really lather. I rub the bar around in my hands and I can get some product in my hand that I can then apply to my hair. I'll finish this bar, but I'll still be looking for another plastic free alternative for conditioner. If you have any suggestions for my dry, brittle hair, please let me know! *This is an affiliate link. Read disclosures. Have you considered giving it another go at making your own? There are so many recipes online. I have used eggs, avocado and coconut oil as conditioners (not all at once). One thing on my agenda this weekend is to search for a shampoo recipe using castille soap. I will just keep refilling the same bottle I currently have. Another idea is to wash your hair less. I'm not sure if it's age-related or not (I'm 56), but I now only wash my hair once a week, and it's much softer and healthier than it's ever been. I absolutely would try making my own again! I had never really heard of shampoo or contitioner bars before and I felt like that was a switch that would be easy for anyone to do. I have tried coconut oil in the past, but not eggs or avocado...since I've got a regular supply of eggs I may have to try it! Thank you for the suggestion! I really want to make my own shampoo bars. Thanks for linking up at #SustainableSundays! That would be fun! I haven't ventured into soap/shampoo making yet. But I imagine once you have you could easily make shampoo. Have you tried an acidic rinse in place if conditioner such as Apple Cider Vinegar or white vinegar. Personally I use coffee as a conditioning rinse whenever we have some leftover in the pot. As I understand you should use an acidic balancing rinse anyway if using a shampoo bar. This is a wonderful story! I think these changes are for good and you will be surprised one day what a person you've become. Also you can try http://hitthegrade.com shampoo.